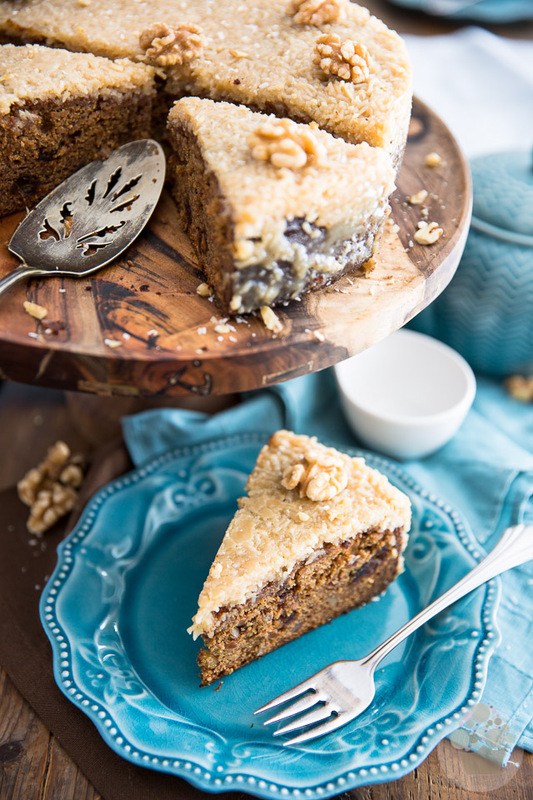 Queen Elizabeth Cake is a dense and buttery cake made rich thanks to the addition of dates and nuts and topped with a brown sugar coconut frosting. Queen Elizabeth Cake is a real classic here in Canada. 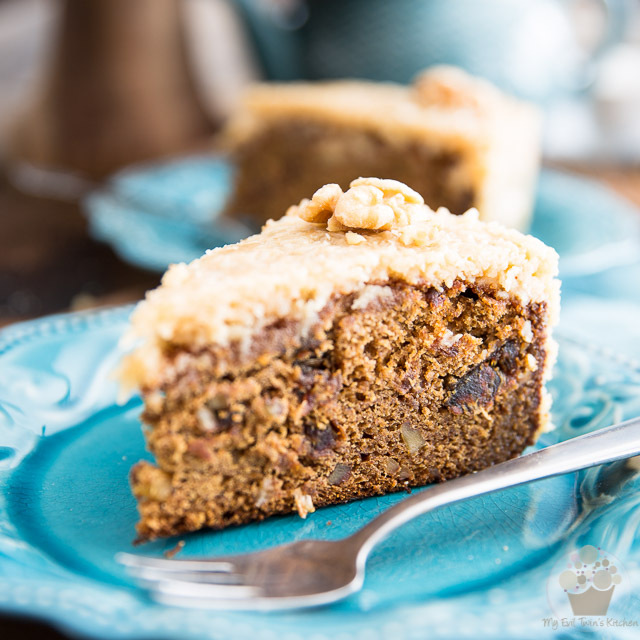 It’s a deliciously dense, yet super moist and buttery cake made outstandingly rich thanks to the very generous addition of dates and nuts. 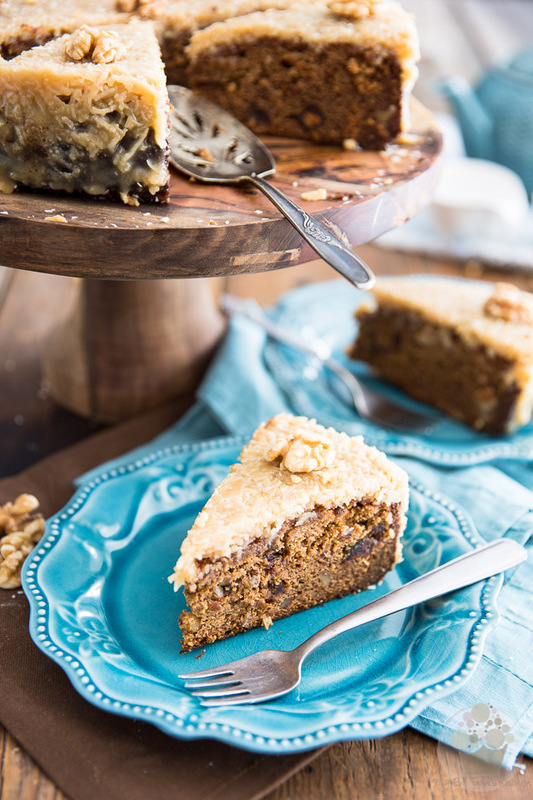 And as if the cake itself wasn’t tasty enough, it then gets topped with a heavenly sweet brown sugar and coconut icing. It might not look like much, but trust me, this is a true delicacy. 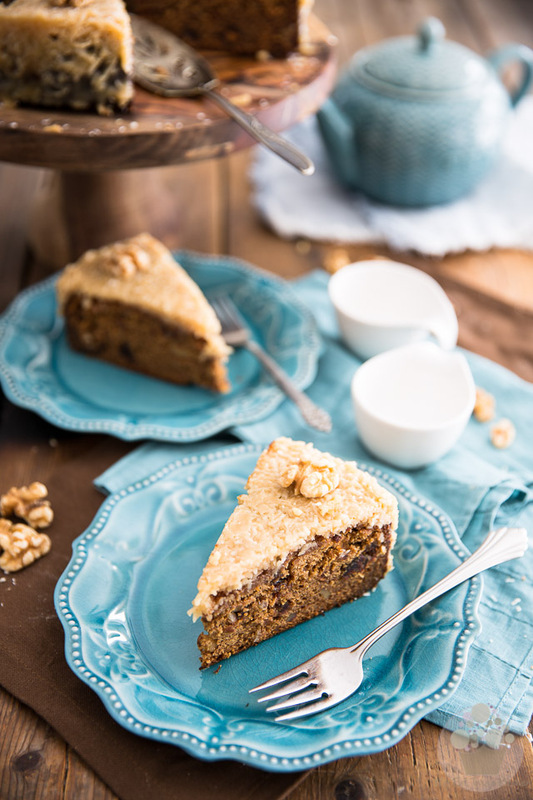 You’d be surprised at how many Canadians will answer “Queen Elizabeth” when asked what their ultimate favorite cake is. 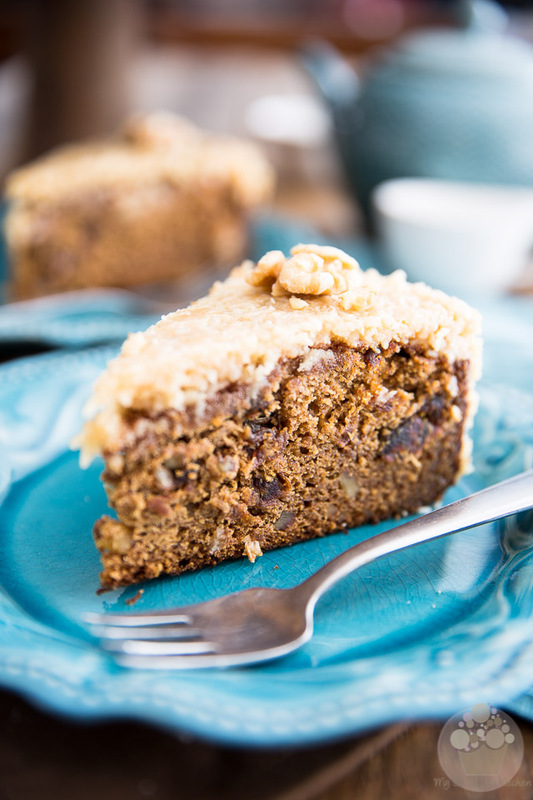 And the best part about this cake is it’s crazy easy to make and almost impossible to miss. 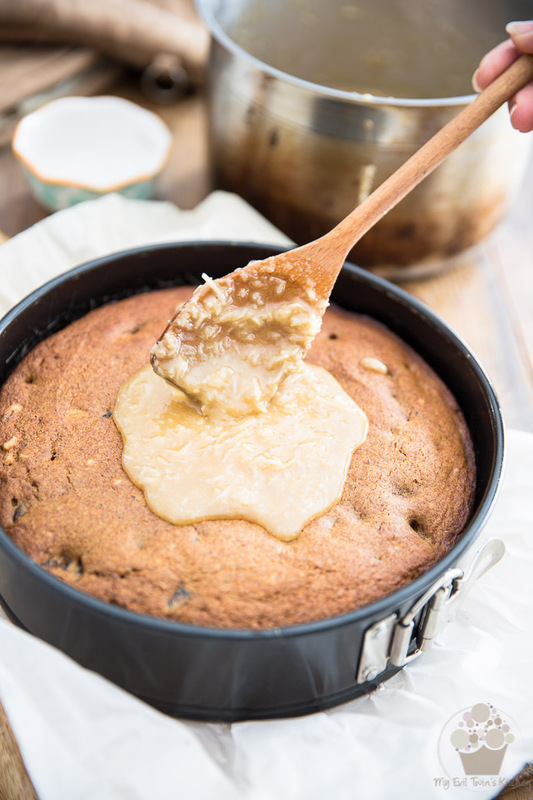 Most recipes out there will have you start with a bunch of pitted dates, which you will need to cook in a fair amount of water until they disintegrate into a paste… you’ll then have to let that mixture cool before you can continue working on your cake. 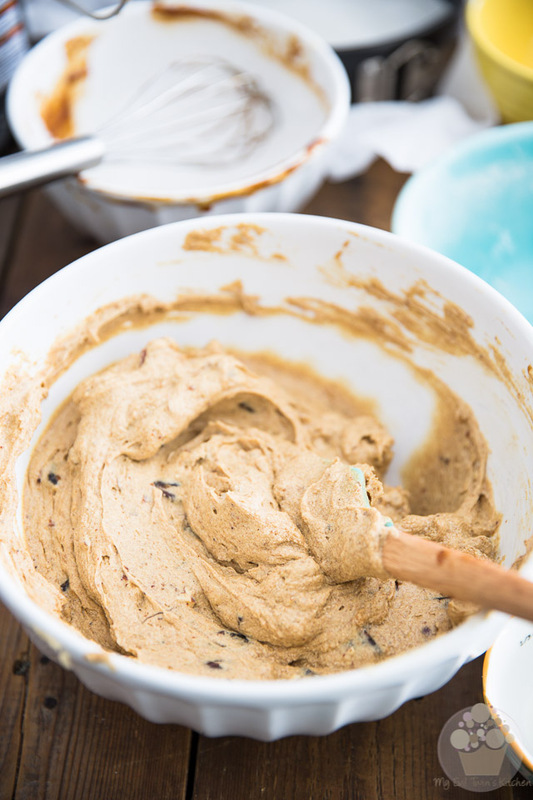 Since I happen to have date paste in my fridge pretty much all the time, I decided to create a recipe that uses this wonderful concoction as a base, instead of the cooked dates. It’s so much easier, and so much quicker that way. Well, provided that you too happen to have some date paste in the fridge, that is. 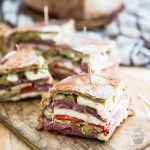 But even if you didn’t, it’s totally worth whipping up a batch, trust me. 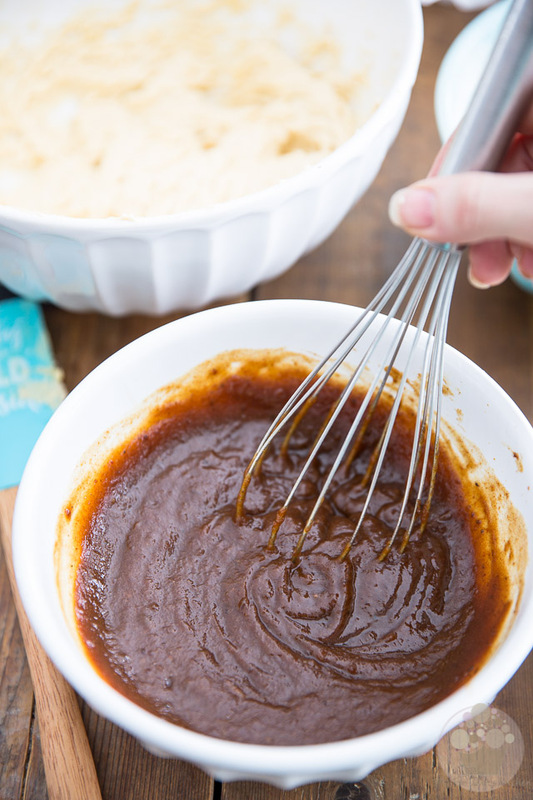 The stuff really only takes a few minutes to make (if you use the microwave method), and, take my word for it, if you’ve never used date paste before, you’ll probably fall in love with this amazing sweetener, if only so you can eat it by the spoonful. Speaking of maple syrup, I like to add a little bit of that to my coconut icing, just because — you know — I’m from Québec so maple syrup totally runs in my veins and well, the stuff tastes like pure heaven. If, sadly, you didn’t have any of that liquid gold handy, you could just plain leave it out. 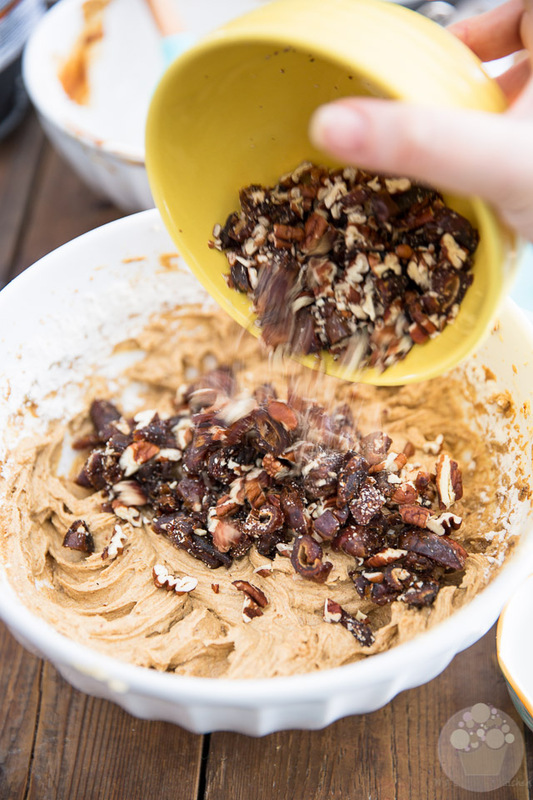 Last but not least, on top of adding the habitual chopped nuts to my batter, I also like to throw a in a generous cupful of chopped dates, for a little bit of extra creamy goody sweetness. 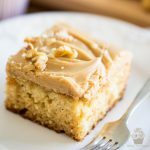 If you’re not familiar with Queen Elizabeth cake, I say you should totally give it a try: I have absolutely, positively no doubt that you will fall head over heels for this celestial treat. I sure would love to hear your thoughts! Preheat your oven to 350°F; Line the bottom of a 9” springform pan with parchment paper. To do that, remove the ring and cover the bottom with parchment paper. Fold the excess paper back under the plate and, while holding it in place with one hand, put the ring back in its position with the other hand. Bring the excess paper back from under the pan but do not cut it off. 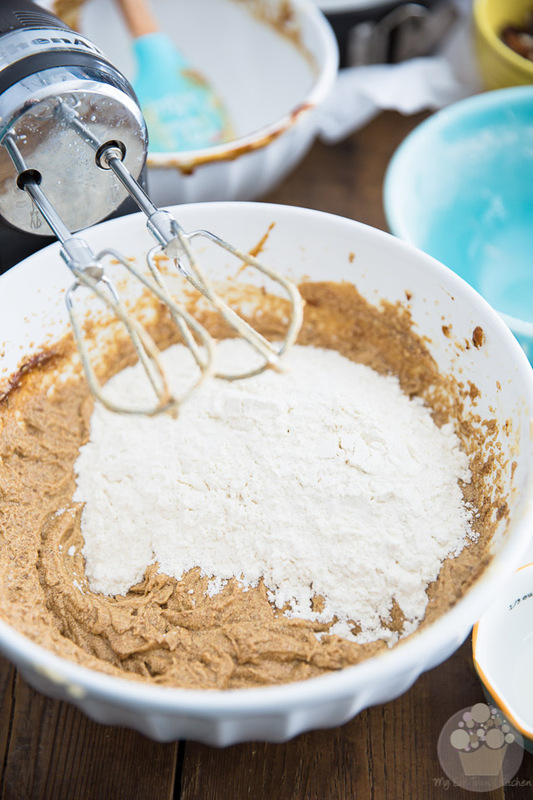 In a bowl, combine the flour, baking powder, baking soda and salt; set aside. In another bowl, combine the date paste, water, rum (if using) and vanilla extract. 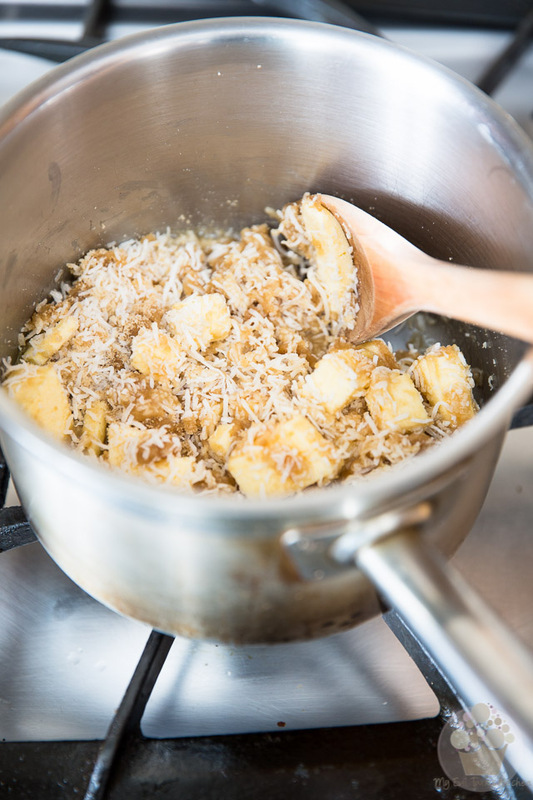 In a third bowl, combine the butter and brown sugar. 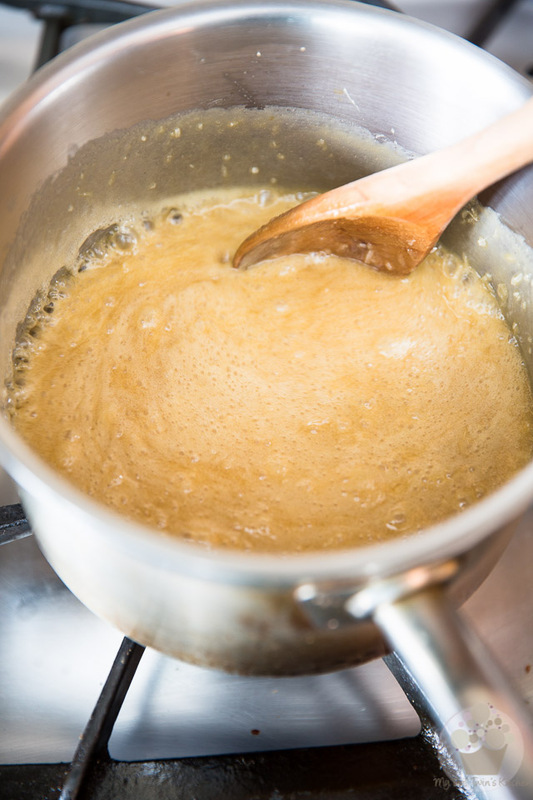 Cream the butter and brown sugar with an electric mixer on high speed, until well combined and creamy, about 5 minutes. 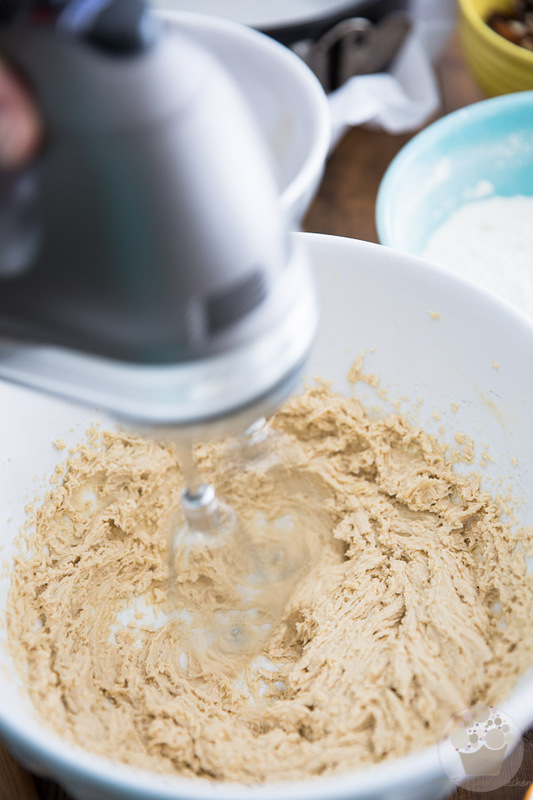 Beat well between each addition until the mixture becomes light and fluffy. 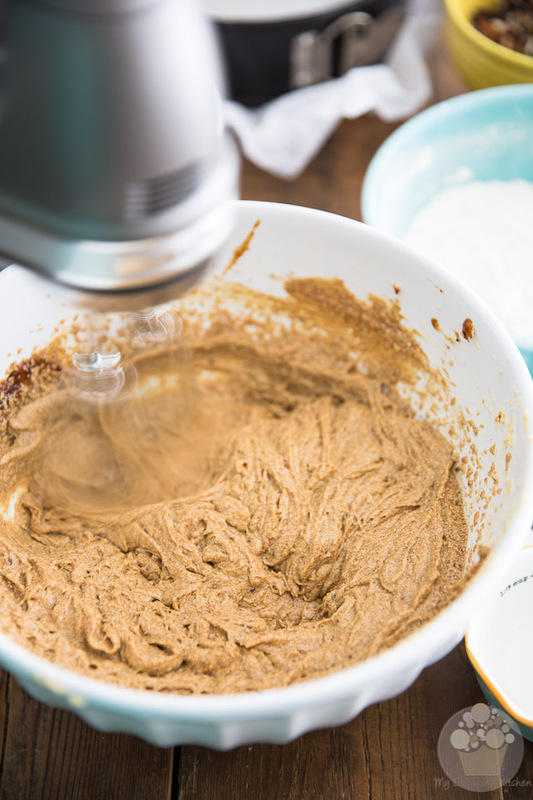 Grab the bowl with the date paste, water, rum, and vanilla extract; whisk delicately until well combined. Beat with the electric mixer until well combined, light and fluffy, about 3 minutes. 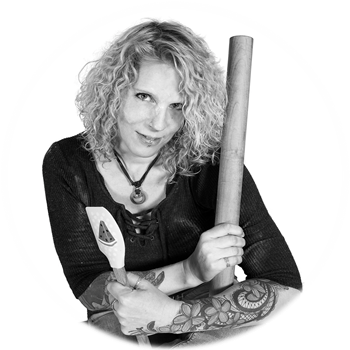 The batter might have a slight tendency to separate initially but fear not, it will blend back together eventually. 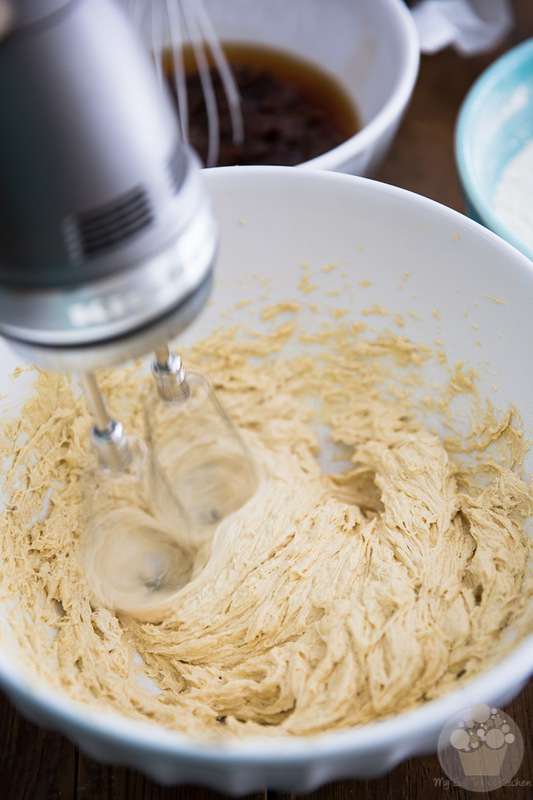 Add the dry ingredients all at once and mix on low speed until well combined, no more. 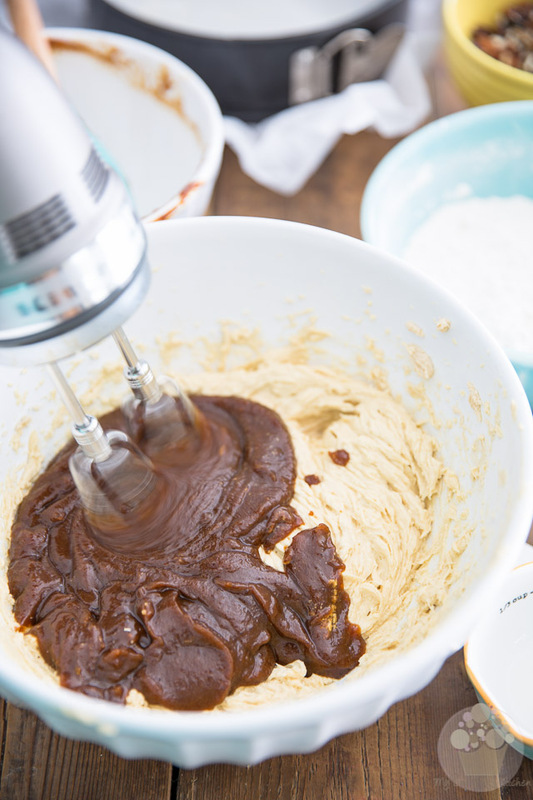 Again, do not overmix; just as soon as the nuts and dates are incorporated, stop mixing. Pour the batter into the prepared pan and spread it evenly all the way to the side. Bake the cake for 40 to 45 minutes, until it’s firm to the touch and the top is a beautiful golden brown. 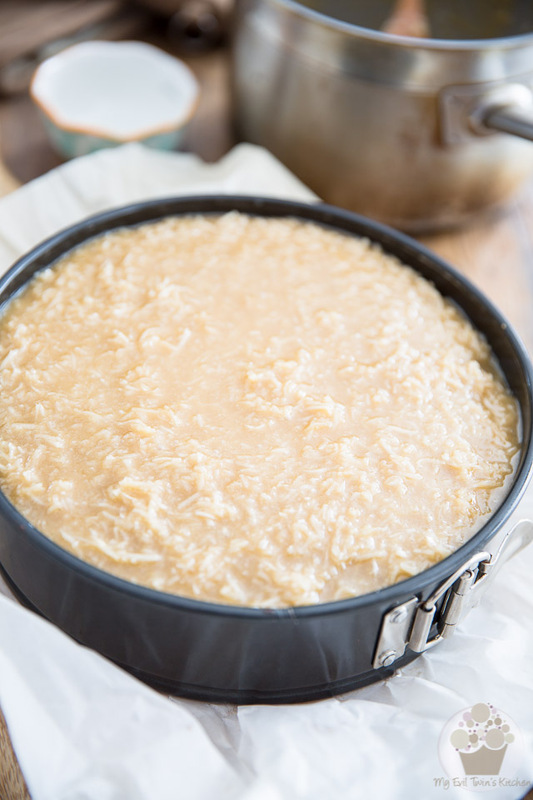 After the cake has been in the oven for about 30 minutes, combine the brown sugar, butter, heavy cream, maple syrup (if using), shredded coconut, vanilla and salt in a large saucepan. Bring the ingredients to a boil over medium heat, stirring constantly, then reduce the heat and simmer gently for about 3 minutes. Kill the heat and set aside until the cake is done. 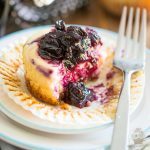 Once the cake is done baking, remove it from the oven and set the oven to broil, then spoon the frosting over the hot cake. 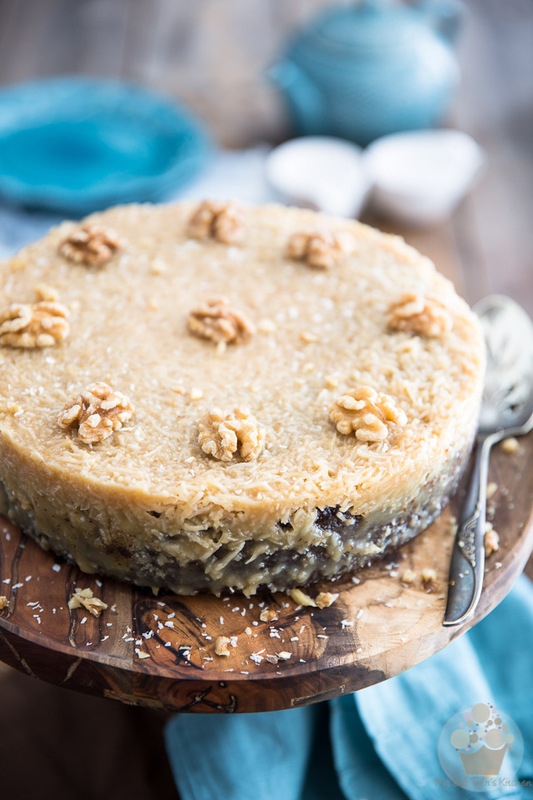 Delicately spread the coconut topping all the way to the edge and then place the cake under the broiler for 2 to 3 minutes, until the mixture starts to bubble and turns lightly golden. 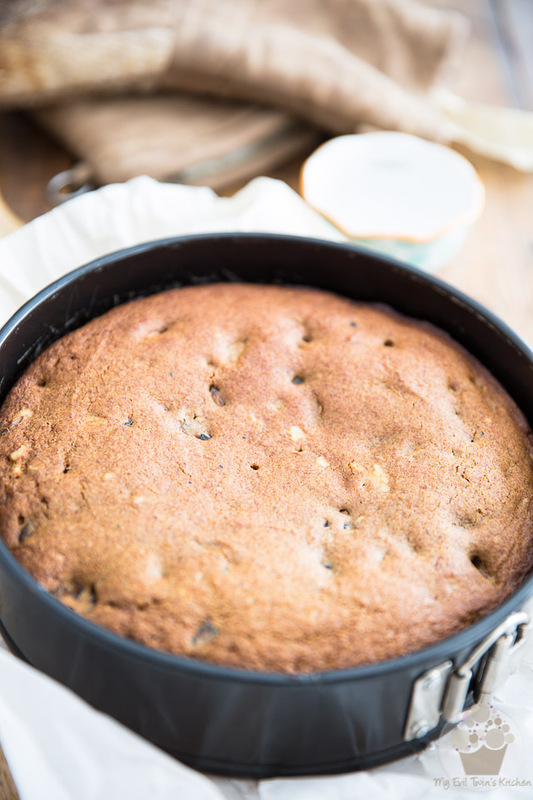 Let the cake cool to room temperature on a cooling rack, then run a spatula around the rim and remove from pan. 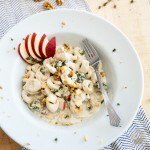 Garnish with walnuts if desired; serve at room temperature. 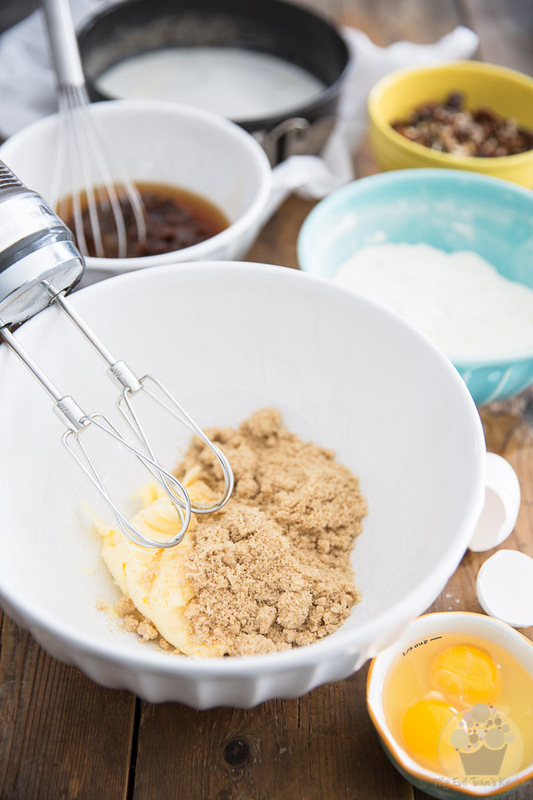 In a large mixing bowl, cream the butter and brown sugar on high speed with an electric mixer, until well combined and creamy, about 5 minutes. 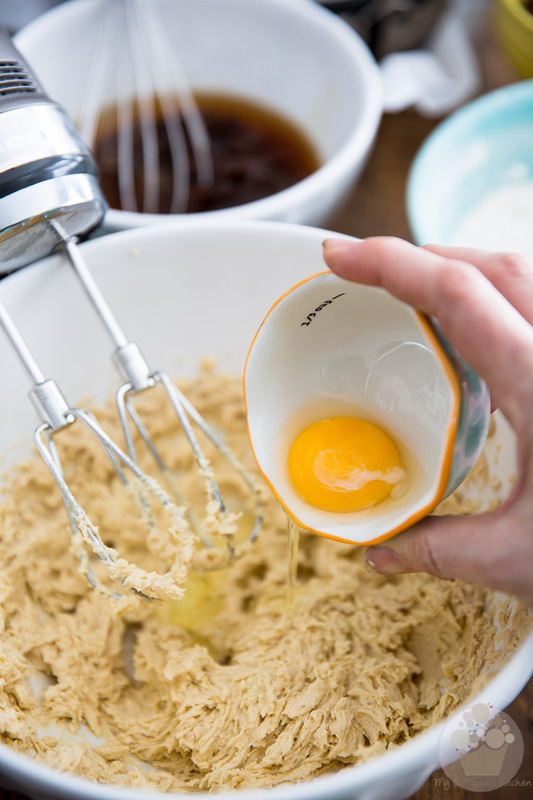 Add the eggs one at a time, beating well between each addition until the mixture becomes light and fluffy. . In a separate bowl, combine the date paste, water, rum and vanilla extract. 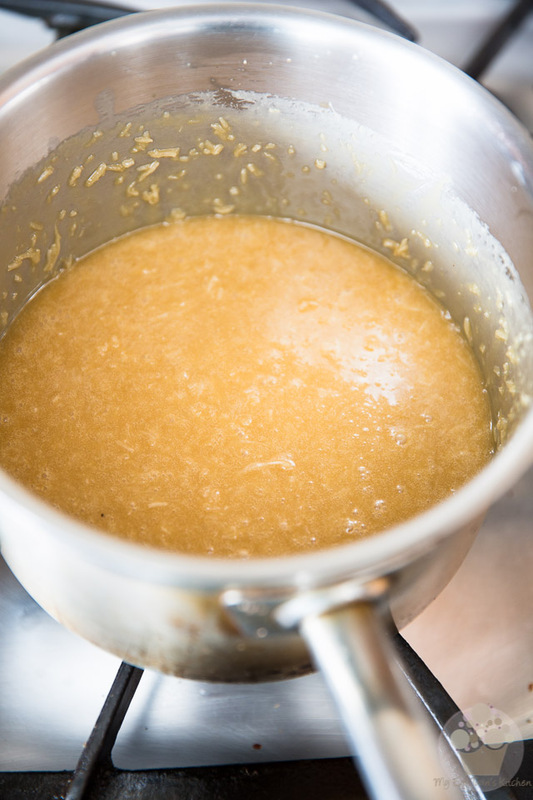 Whisk delicately until well combined, then add this mixture to the creamed butter. Beat with the electric mixer until well combined, light and fluffy, about 3 minutes. The batter might separate initially but it will blend back together eventually. Add the dry ingredients and mix on low speed until well combined, no more. Fold in the chopped dates and pecans. 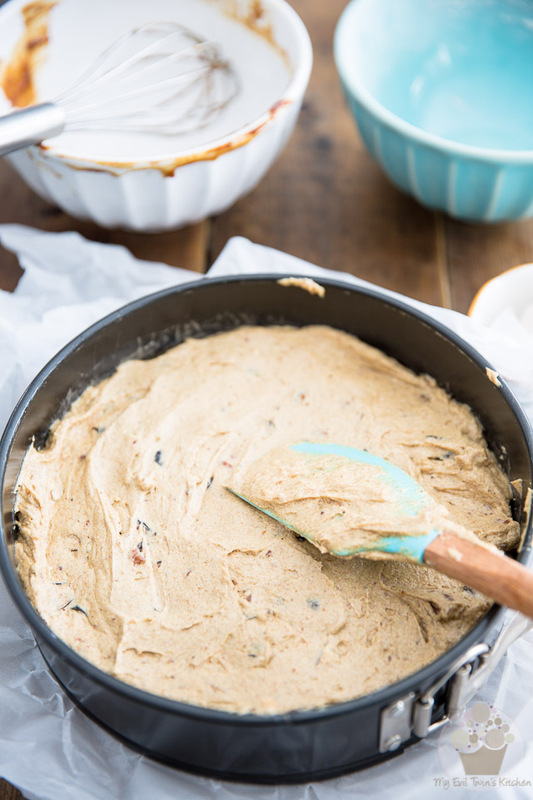 Pour the batter into the prepared pan, spread evenly and bake for 40 to 45 minutes, until cake is firm. 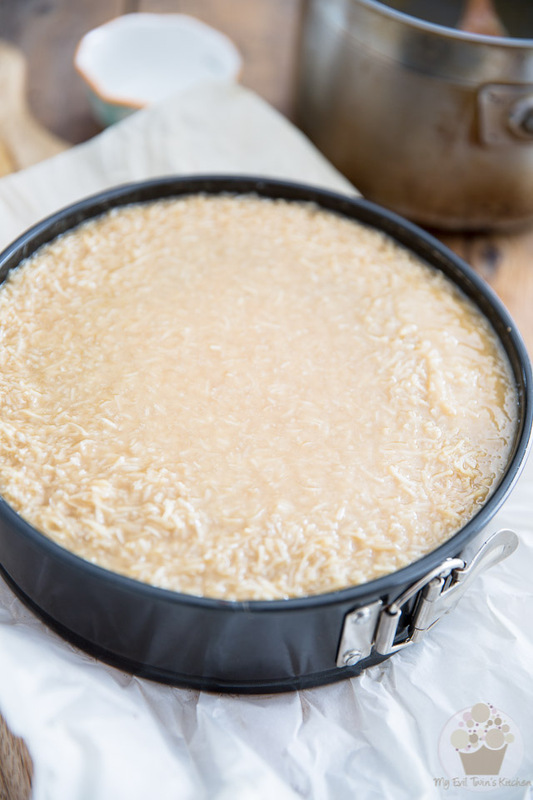 After the cake has been in the oven for about 30 minutes, combine the brown sugar, butter, heavy cream, maple syrup, coconut, vanilla and salt in a large saucepan. Bring the ingredients to a boil over medium heat, stirring constantly, then reduce the heat and simmer gently for about 3 minutes. Kill the heat and set aside until the cake is done. Remove the cake from the oven and set the oven to broil. 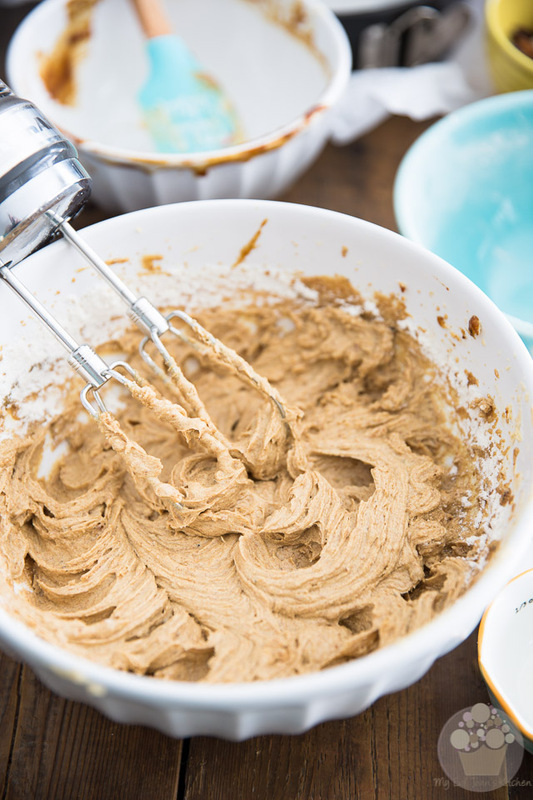 Spoon the frosting over the hot cake, spread evenly and place the cake under the broiler for 2 to 3 minutes, until the mixture starts to bubble and turns lightly golden. This cake is so wonderfully vintage. Your variation sounds so gorgeous I just have to try it 🙂 Thank you for posting!